What to do once you're done with Office? 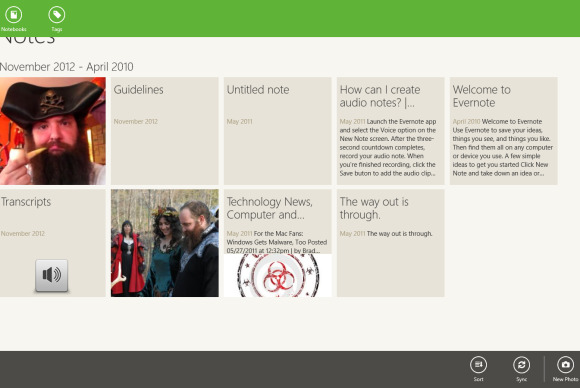 These productivity-packed Windows 8 apps keep you delegating, decision-making, and digging into nitty-gritty business details. You've taken the plunge, splurged on a shiny new Surface RT tablet, and pounded out report after report with the bundled Office 2013 RT app. Now what? The skimpy selection of apps in the Windows Store largely sticks to consumer interests rather than company needs. 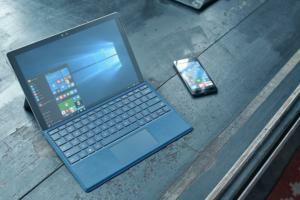 But fear not: A bevy of business-friendly Windows 8 apps have begun trickling in, already transforming new Windows devices into viable—if somewhat lean—productivity powerhouses. 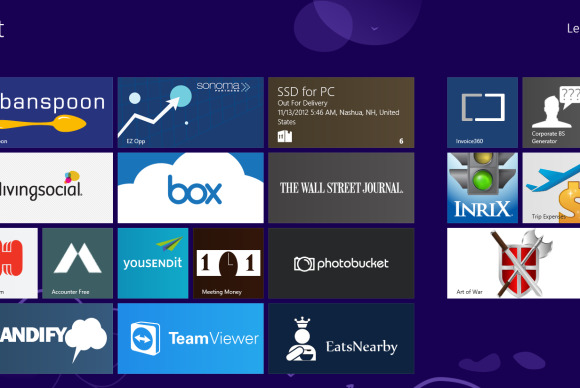 We spent days sifting the rock stars from the raw recruits to create this carefully curated list of the ten best Windows 8 business apps. Search for them by name in the Windows Store. Skype for Windows 8 nails everything you've come to expect from the class-leading communications service, from instant messaging to voice calls to video chats. 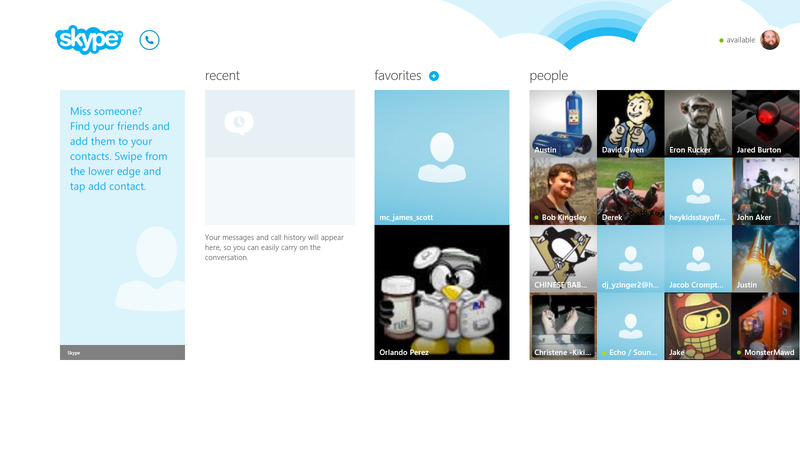 The fresh, Modern-looking coat of paint looks great, and since it's a proper Windows 8 app rather than a legacy program, Skype can be docked on the side of the screen, letting you tackle those tricky sales calls while simultaneously getting things done in your main window. The icing on the cake? Deep-seated system hooks that tie into the People app and spit out pop-up notifications whenever a colleague reaches out to touch you. 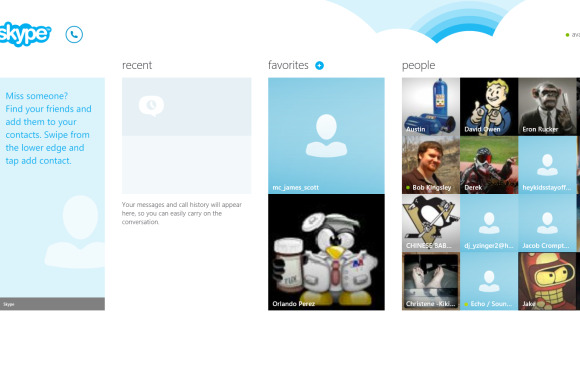 Check out our guide to getting the most out of Skype. 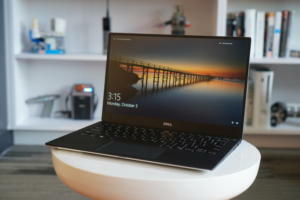 The free 7GB of SkyDrive storage space that Windows 8 hands out to new Microsoft accounts is nice for syncing photos and personal musings, but when it comes to business-class cloud storage, many companies turn to Box. 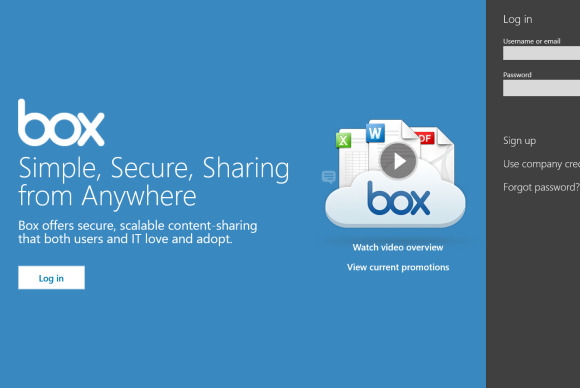 While most cloud lockers focus solely on consumers, Box's Business and Enterprise options include worker-friendly features like a 99.9 percent uptime guarantee, full text search, document collaboration, Salesforce.com integration, and restorable version histories. The IT nerds will be happy, too, thanks to robust administrative controls, strong security features, comprehensive audit trails, and more. 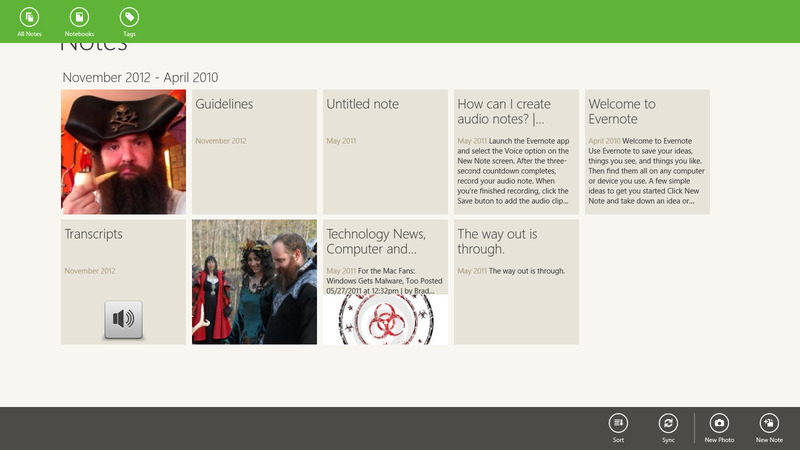 The slick Windows 8 app does have a few quirks. 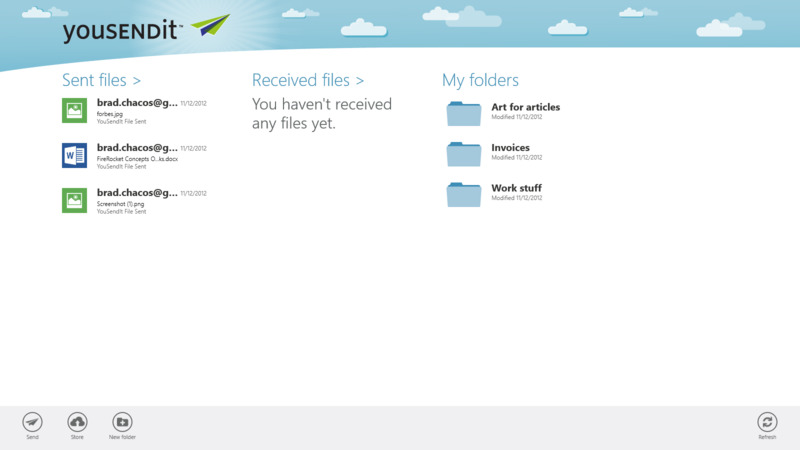 Unlike the Web app, for example, it relies on third-party programs to open files. But overall, it's a great piece of software. 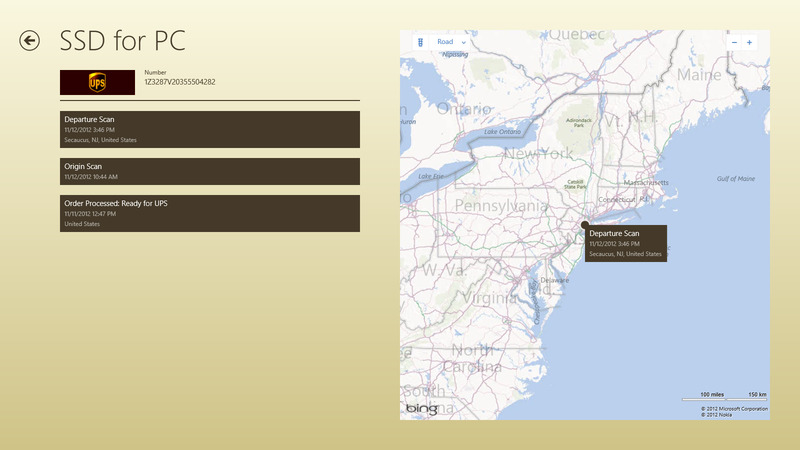 Package Tracker isn't glitzy or glamorous, but it does exactly what it advertises: keeping dibs on your parcels as they travel around the world, and sending out Windows 8-wide notifications whenever a package's status changes. 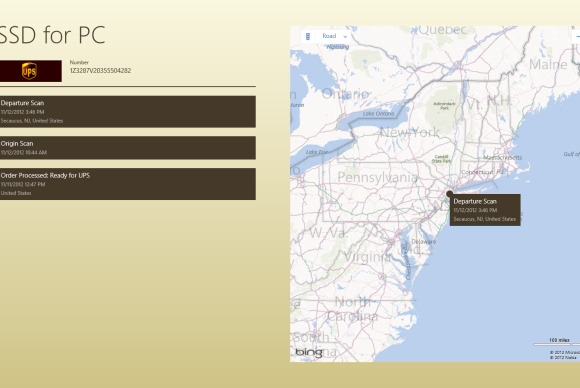 The app includes support for more than 60 global carriers (including all the major ones) and handy extras such as full tracking histories; Bing map integration that shows your package's last known location; and the ability to pin specific packages to the Start screen. If you ship a lot of stuff, this $2.99 app is worth the price. If you're an Evernote user, you already know why you need this app. If you're not an Evernote user, you're missing out on a powerful service that keeps your notes, pictures, and audio recordings organized and synced across every major operating system, desktop and mobile alike. An impressive optical-character-recognition software engine even catalogs and searches the text in pictures of your handwritten notes. The service is so flexible that you could run your entire business out of Evernote, tapping the service for everything from expense tracking to inventory management. Opting for a $45 yearly subscription ditches the ads and tosses in PDF search capabilities, note history options, and the ability to upload up to 1GB of data per month, among other things. 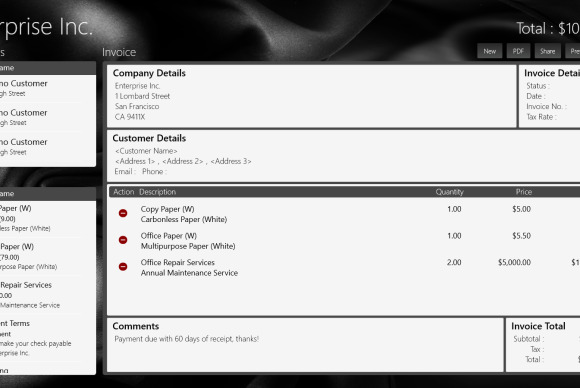 Another simple and straightforward Windows 8 app, Invoice 360 supplies a handful of customizable invoice templates that can be used to create a professional-looking bill (or pricing quote) in minutes. Saving specific company and transaction details allows you to quickly plug information into subsequent invoices, and you can manage every granular option in drill-down Inventory and Customer pages. 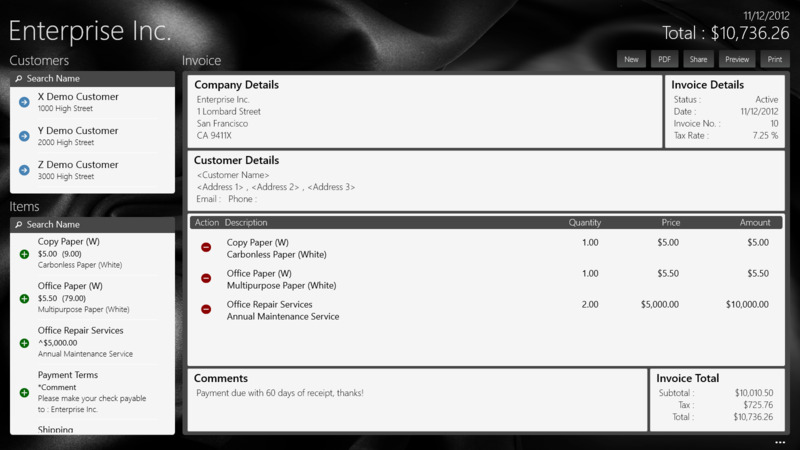 Invoice 360 supports printing, PDF generation, and soft-copy sharing via the Windows 8 Share charm, with a copy of each invoice popping up in your History page. Even better, it's free! 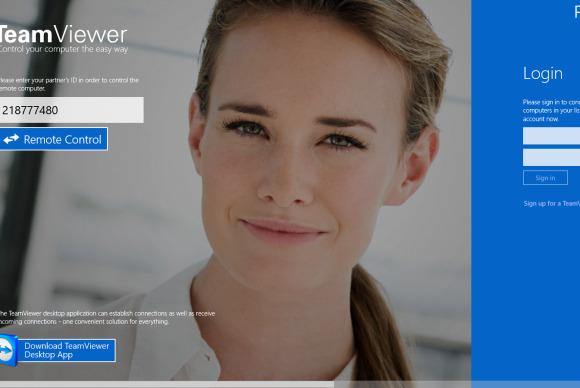 Remote desktop apps are already a dime a dozen on Windows 8, but TeamViewer Touch is great for business users for a few specific reasons. Tons of companies already use TeamViewer's software, which opens up doors (or desktops, as it were) all around the globe, and the easy-to-use software includes business-friendly encryption and authentication tools. 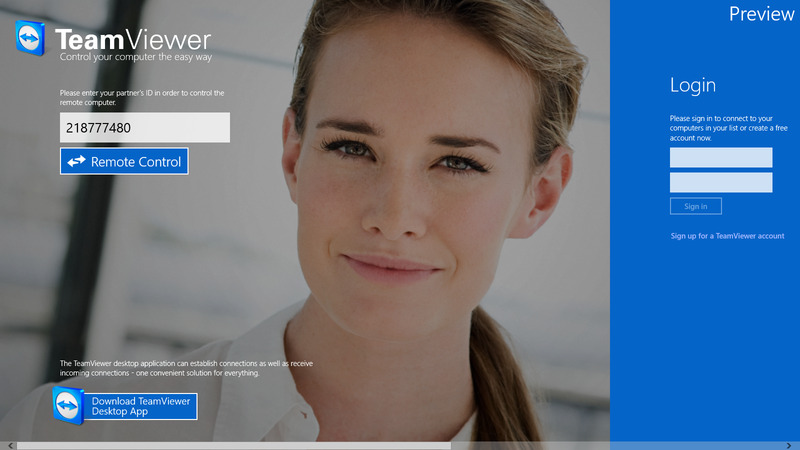 In addition to the remote desktop capabilities, the premium version of TeamViewer (which is required for business use) adds remote meeting and collaboration tools. If you don't need those bells and whistles, and your company's infrastructure already runs on Windows servers, you may want to consider using Microsoft's own Remote Desktop app, instead. 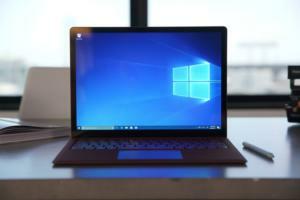 Windows 8 may be very new, but some of the biggest enterprise service providers around are already jumping on the bandwagon to support the needs of their demanding corporate clients. 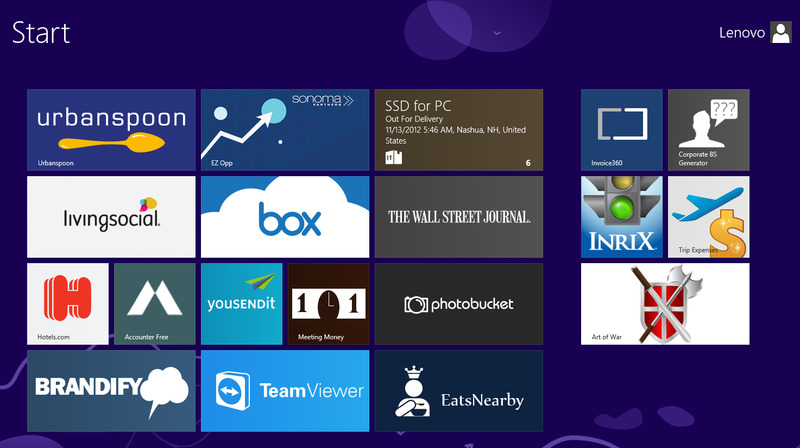 Whether you want to keep up to date with your colleagues and customers, access your files and applications on the run, or simply check in on the status of your company servers, Microsoft Lync, Citrix Receiver, and Rackspace Cloud have those respective needs covered with new Windows 8 apps—assuming that your business subscribes to their corresponding services, that is. 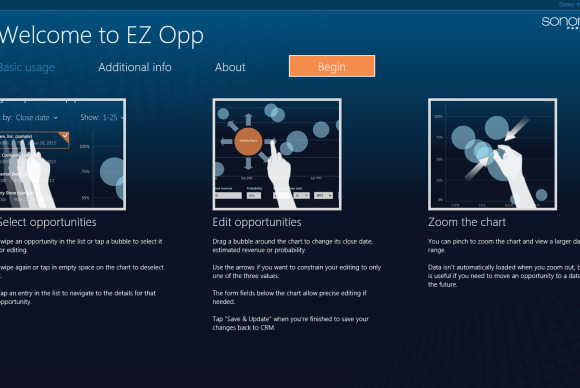 EZ Opp, by two-time Global Microsoft CRM Partner of the Year winner Sonoma Partners, is one of the few Windows 8 apps that taps into the power of Microsoft's Dynamics CRM service, helping you to manage your sales pipeline on the road with a touch-friendly modern interface. The app displays estimated revenue for the upcoming year by month, all color-coded by realized versus potential income. 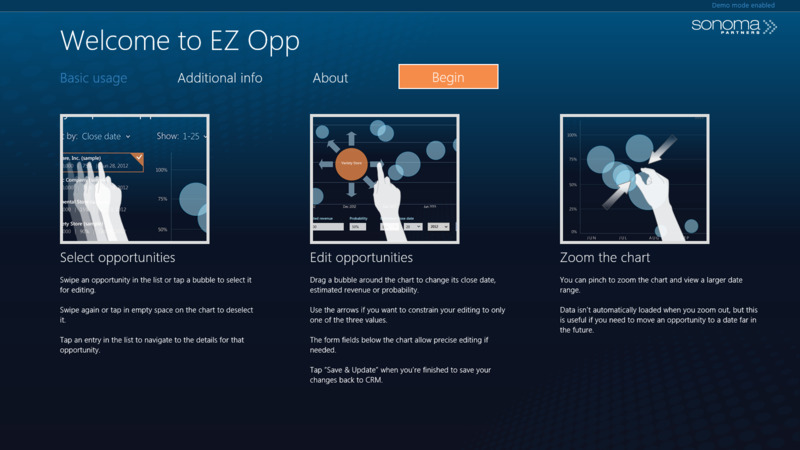 EZ Opp is a tablet-friendly CRM app, rather than a full-featured one. It lets you view and drill down into opportunity details, but you can edit only a lead's close date, probability, and estimated revenue. Sending documents off to coworkers and customers won't tax your technological resources, but most email servers pitch a fit if you try to mail anything larger than 25MB in size. 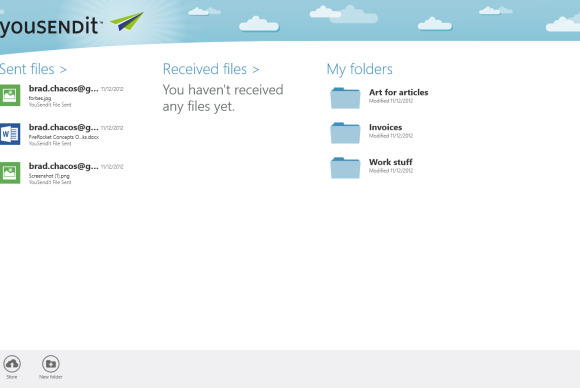 YouSendIt's whole business revolves around transferring files that are much bigger than an average attachment. The service lets you upload individual files of up to 2GB to a cloud storage locker of unlimited size, and then share a link to that file with other people. It's all protected by 128-bit SSL encryption along with file-specific passwords, download tracking, and authenticated delivery options—if you're a $14.99 monthly member. 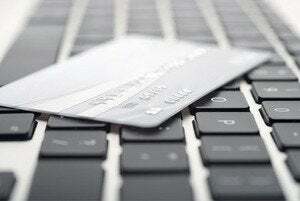 Free subscribers are limited to 2GB of storage and get capped at 50MB file transfers. 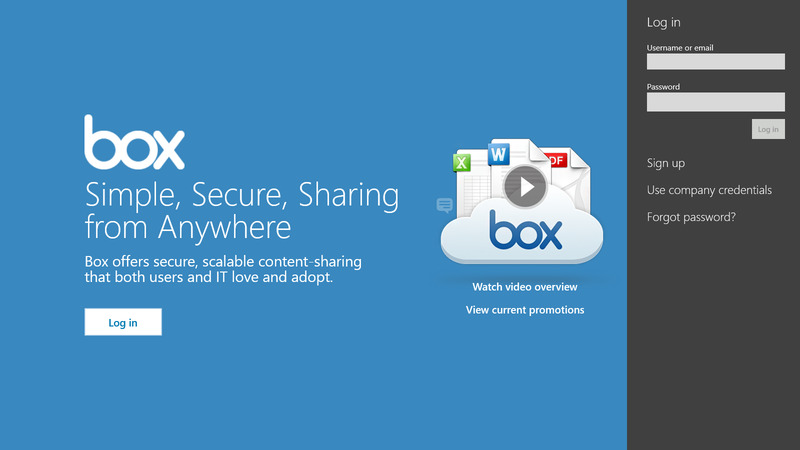 Alternatively, Box subscribers can share 2GB files with others. In office spaces worldwide, one phrase sends employees into fits of apoplectic revulsion like no other: "Let's have a meeting." 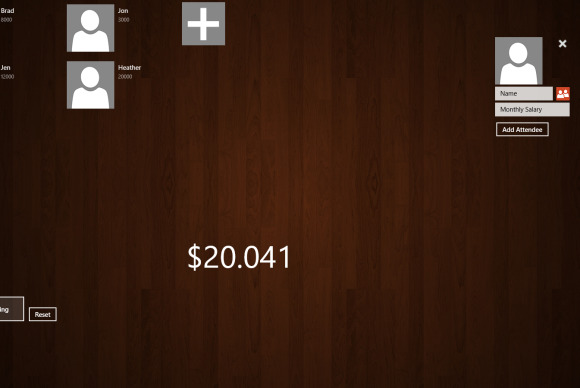 Enter the amusing Meeting Money app, which puts a cold, hard figure on the cash being flushed down the drain during superfluous pow-wows. 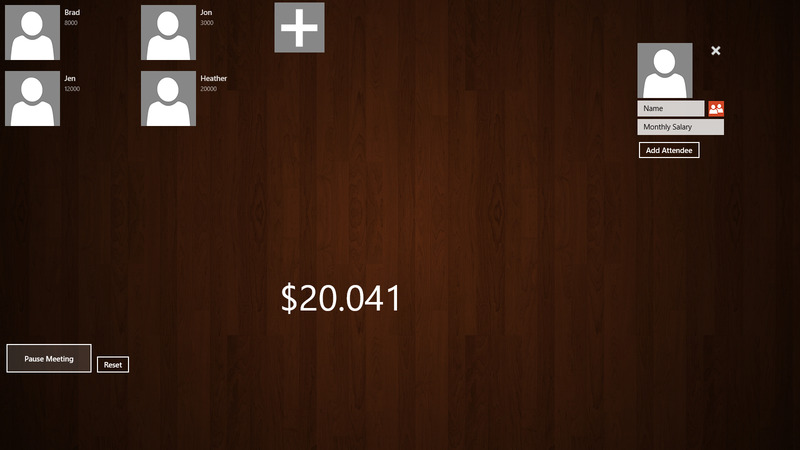 The app tracks the total cost of keeping meeting attendees entangled in talk, updating the figure every second. If that's not enough to convince your boss to curtail his morning meetings, the Corporate BS Generator and Art of War apps can help you fit in and start mixing terms like "synergistically initiate cross-unit networks" with age-old axioms from a successful Chinese general—because every C-level executive loves Sun Tzu.